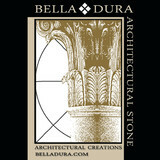 Bella Dura Architectural Stone offers dimensional architectural stone fabrication along with full design services. Bella Dura is a forty one year old company with it’s own quarrying and fabrication facilities in the Yucatan of Mexico. At our factory we have the abilities to produce any and all natural limestone architectural detail of any size and to produce exquisite old world hand carved detail. Our Limestone of the Yucatan is available in four distinctive types; Macedonia (marble like), Ostra Shellstone, Uxmal (terra cotta color) and Sisal Coquina. The hundreds of majestic completed projects around the country and Caribbean are articulate testimony to these capabilities. Premiere Producers of classical natural stone elements, both structural and decorative, both monumental and subtle. The finest in columns, pediments, quoins, cornices, fireplaces, paving, and every variety of molding and opening detail, balustrades, pool decking and coping, pergolas, arbors, archways, all exterior and interior details. 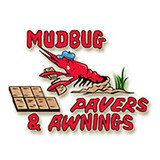 Concrete Magic Designs is South Louisiana’s premier decorative concrete firm. Concrete Magic Designs, LLC (CMD) offers many different facets of decorative concrete. We are practiced in the art of; scoring, staining, polished concrete, concrete countertops, GFRC Concrete, stamped concrete, all types of architectural overlays, logos, inlaid architectural elements, concrete showers, concrete shower panels, concrete fireplaces, sandblasted designs, gunite hot tub & hot surrounds, fiber optic concrete, concrete waterfalls. Concrete Magic Designs aims to exceed its customers expectations by taking an unmatched level of pride and excellence in our workmanship. Our honest approach with attention to detail lets our customers know that their interest come first. 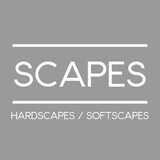 Scapes is a comprehensive team of specialized stone, tile, and concrete craftsmen lead by proprietor Ricardo Agra. Project expertise includes custom stonework, pool renovations, outdoor kitchen built-ins, custom counter tops, mosaics, and fire features. Ricardo has a reputation for high standards, a keen eye, and keeping his clients updated throughout the entire process, from conceptualization to completion. We deliver the service and community commitment of a local, family-owned business backed by the strength of a company that's built oer 75,000 incredible outdoor structures since 1980. We offer you the benefit of an international architectural design center that will custom design your project to complement your home, suit your personal tastes and meet your exact needs for functionality. Superior Concrete Technologies of Baton Rouge is focused on Polishing, Protecting and Designing concrete. We use the full line of products from The Concrete Protector, and we are officially trained and certified to install their products. Concrete Design is our specialty, and 100% customer Satisfaction is our goal. Patios, Pool Decks, Driveways, Walkways, Carports, Garage Floors, Interior Floors... You supply the concrete surface and we will create the custom look of granite, marble, slate, stone, brick, tile… The possibilities are endless! Trust Low Cost Cement Construction in Baton Rouge, Louisiana, for affordable, quality service. Our company serves the needs of residential, commercial, and industrial customers. We pride ourselves with our on-time service performed by our staff of master craftsmen. Our reliable concrete construction company ensures competitive prices for all of your concrete services. From laying concrete for new driveways to creating decorative stamped designs on patios, you will receive exceptional service an the guaranteed lowest written bid. We provide a structural warranty to back up our work. Your satisfaction is our number 1 priority! 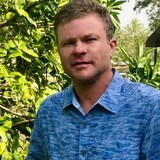 Bakana Gardens & Gifts is a locally owned home decor and ornamental concrete shop conveniently located between Baton Rouge and New Orleans in Prairieville, LA. We specialize in customizing and designing unique interior and exterior home accents. Browse through our collection of fleur de lis Fountains, planters, statuary , handmade fleur de lis plaques, tapestries, jewelry, toppers, crosses, wall pockets, custom florals, picture frames, metal planters, metal containers and many other decor pieces. We also offer a wide selection of outdoor ornamental fountains, garden statues, benches, tables, and birdbaths all made in the USA. Scapes Group, LLC is a leading Stone and Concrete company in the Baton Rouge area. Reach out today to let us help with all of your stone and concrete needs! From installing new exterior columns to repairing your chimney, masonry contractors can help you add both visual appeal and value to your property. They’ll know what kind of installation makes the most sense for your Baton Rouge, LA climate and regional style. Looking for something that will develop a patina with time? Or would you rather have your home feel brand new for years to come? Choosing the right kind of stone involves thinking about the future, too. Experienced brick suppliers and stone suppliers can help you find the material that will work for your home now and for years to come. These professionals aren’t limited to exterior work either. Whether you want a split-stone granite wall in the kitchen or need help installing traditional brick masonry on your fireplace facade, you’ll want a professional to get it right. If you’re already working with an architect or designer, he or she may be able to suggest a good Baton Rouge, LA subcontractor to help out. Here are some related professionals and vendors to complement the work of stone, pavers & concrete: Landscape Architects & Landscape Designers, Architects & Building Designers, Garden & Landscape Supplies, Driveways & Paving, Siding & Exteriors. Find stone, paver and concrete professionals on Houzz. 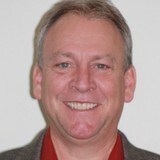 Search the Houzz Professionals section for Baton Rouge, LA stone, paver and concrete professionals. Browse photos and read reviews, and contact a pro if you like their work.